Ethan Hunt is back! 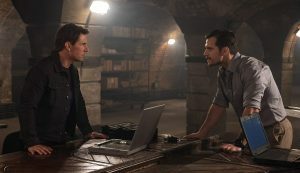 It’s the sixth instalment of the Mission:Impossible franchise, but let’s put aside the logic that says there should only ever have been one film with that title. The same argument applied to the original TV series and it never bothered them, so why should Tom Cruise worry about it? After all, this is not a series that demands too much of your thinking time. It’s all about the action, a formula that’s been paying off handsomely since 1996 and increasingly as the years have gone by. 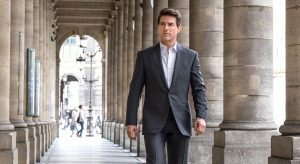 While previous offerings have been very much stand-alone affairs, it helps this time round to have seen Rogue Nation, if only to understand the interplay between Hunt (Cruise) and some of the returning characters. His long-running adversary Solomon Lane (Sean Harris) is back and this time Hunt and his trusty team of Benji (Simon Pegg) and Luther (Ving Rhames) have to make sure he’s never let loose on the world again. And there’s the small matter of some plutonium getting into the wrong hands. As far as the action goes, Fallout is in such a league of its own you wonder how another sequel could ever live up to it. It’s already been described as the action film of the year and there’s certainly nothing to beat it at the box office at the moment for sheer nerve jangling thrills and heart pumping excitement. Part of that is down to our knowledge that what we’re watching is, in the main, for real. 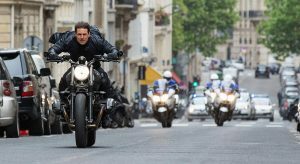 Cruise famously insists on doing as many of his own stunts as possible – a spectacular helicopter duel over snow-capped mountains, a screeching motorbike chase through the streets of Paris are just two. The fact that he broke his ankle during a stunt in the London shoot just reinforces that and director Christopher McQuarrie couldn’t resist reminding us. Not only has he left in that bone crunching leap, it’s followed by a shot of a hobbling Cruise. Not that we weren’t waiting for it. Compared to the rest of the action sequences, it’s a modest moment. Cruise dangles off the mountain side, there’s an eye-popping crash and a fight in the gents that makes you worry the film may have peaked early. Fear not. It hasn’t. That sequence features new arrival Henry Cavill – complete with the notorious moustache that Justice League’s CGI simply couldn’t handle – in fine fighting form. He’s a great addition, both as a character and as a foil for Cruise, particularly in the physical stakes. Fallout is two and a half hours of pure adrenalin – and, boy, does it rush. Especially in the extended climax. As far as the narrative is concerned, it’s supposed to be 15 minutes long and, although McQuarrie doesn’t quite stick to real time, it’s still as tight as a drum and almost unbearably exciting. Action films don’t get much better. And this is pure action entertainment, raised to a level that we didn’t even see in Rogue Nation, and that was pretty darn good. But it does beg the question as to what Cruise does next. He’s in his late 50s, so at some stage he’s going to have to stop doing his own death defying stunts to this extent. But when? Maybe he’s got one more appearance as Hunt left, but at that point surely he’d want to hand over the reins. If there is another one, let’s hope McQuarrie is at the helm again because what he’s made is the ultimate action movie. See it on the biggest screen possible. It deserves it. So do you! 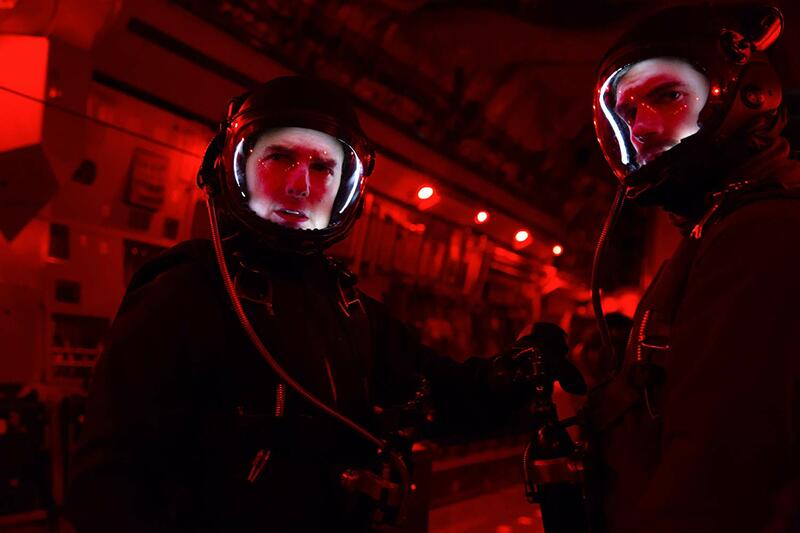 Stars: Tom Cruise, Henry Cavill, Sean Harris, Rebecca Ferguson, Ving Rhames, Simon Pegg and Alec Baldwin. Mission: Impossible – Fallout is out on the 25th of July. Simon Pegg and Alec Baldwin.